We’re waiting to estimate our crop until we see the quality of the berries. We grow two varieties. In the last few years the early variety are larger, but can be crumbly if we don’t have enough rain and it is too hot. The later variety is a smaller berry but seem to hold up better. 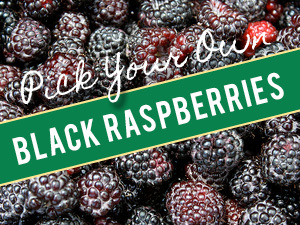 Wear long sleeves and pants to pick raspberries, as they have thorns. Lightweight material will help you stay cool! Arrive early as there is little shade in a raspberry patch, and it gets hot quickly! Drink plenty of water! When picked, raspberry fruit detaches from the receptacle, so the fruit will have a “cupped” shaped cavity at its centre. You can use our shallow berry containers to pick berries. Piling them into deep buckets will cause them to get mushy. REFRIGERATE raspberries immediately when you get home!!! They are extremely perishable. Use the berries within 2 days and wash them when you get ready to use them. 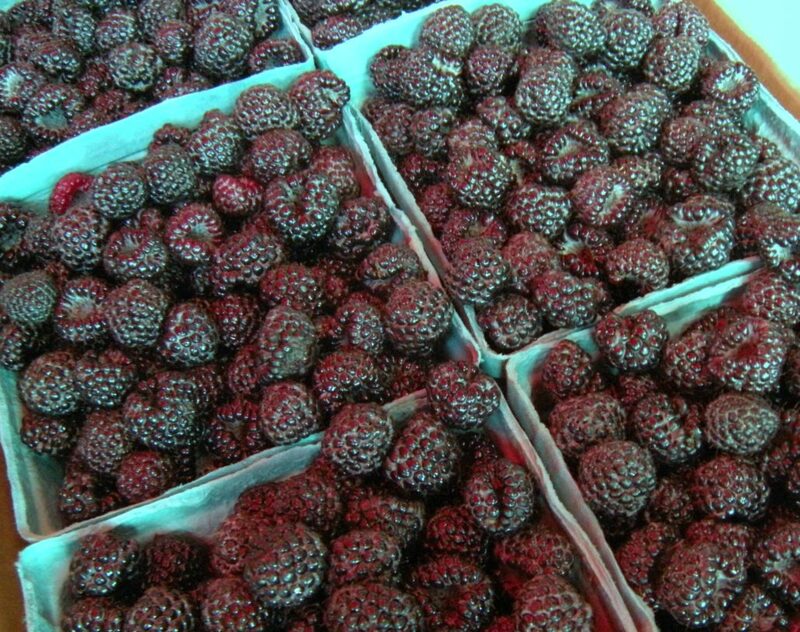 Washing them before refrigeration will lead to mold in your berries. Some sources claim that picking raspberries at this time also means that the flavor will be optimal.